How can we reinvent the way we work digitally? How can our twelve thousand employees collaborate more efficiently, by making use of our new (social) intranet? 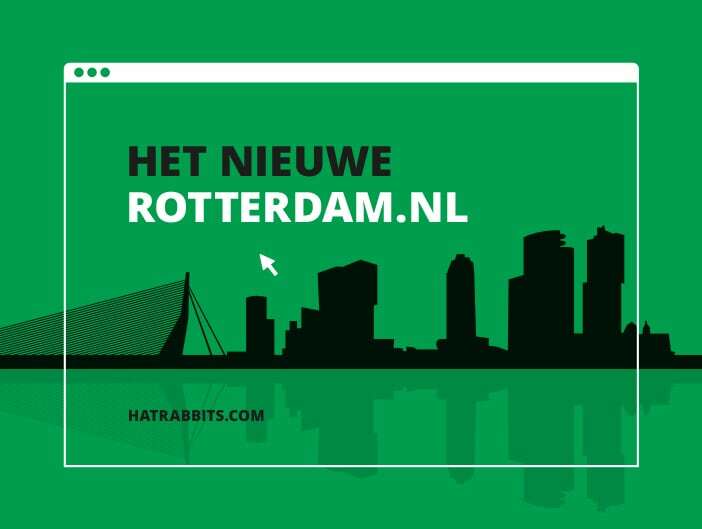 In January and February 2015, HatRabbits organised and facilitated a creative think tank for the municipality of Rotterdam. The participants of this think tank came from all levels and departments of the municipality and were a true reflection of the organisation. 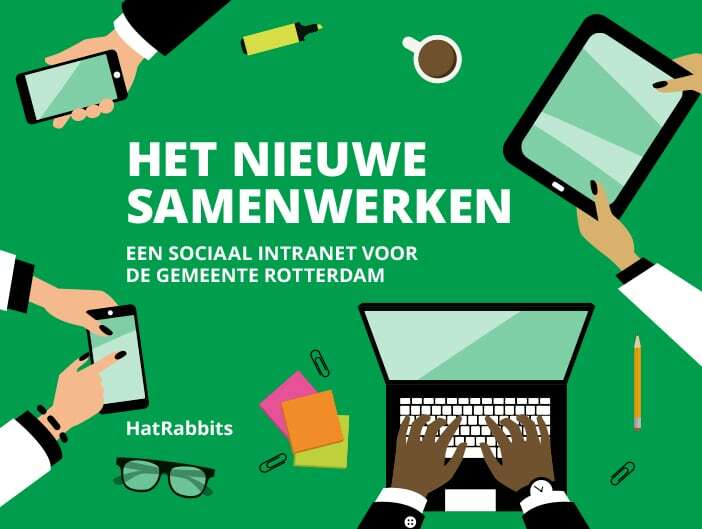 In four sessions HatRabbits collected a total of twenty-four-hundred ideas on opportunities for the new intranet. The results of the think tank have been clustered and evaluated by HatRabbits. In collaboration with specialists, HatRabbits developed the ideas further. 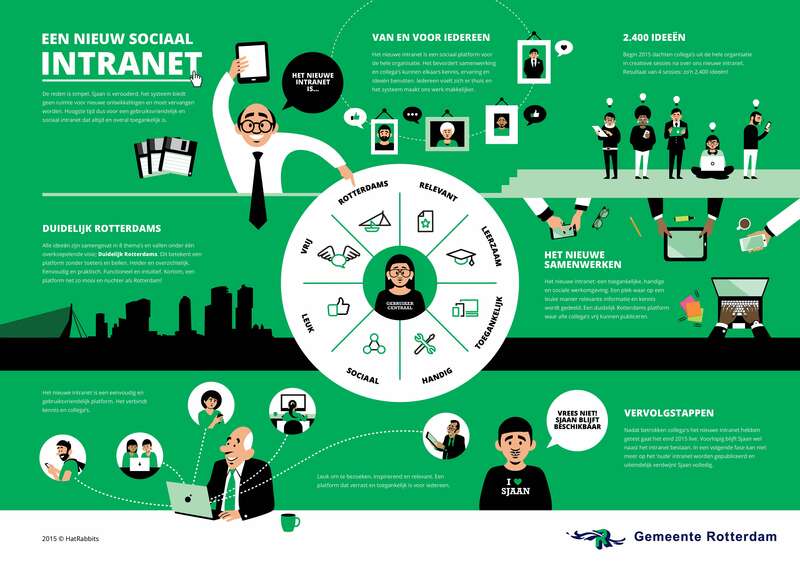 The vision book ‘Het nieuwe samenwerken‘ (‘Reinventing teamwork’) summarises the outcome of the think tank. This document provides a detailed description of all the opportunities concerning the intranet. The booklet has been used as ‘program requirements’ by the client and software supplier to develop a Proof of Concept. Within the communication department, the vision has been used as the guideline for the intranet introduction campaign. A video impression of the think tank organised and facilitated by HatRabbits. The vision book ‘Reinventing teamwork’ developed by HatRabbits. Click on the image for a larger view (Dutch). 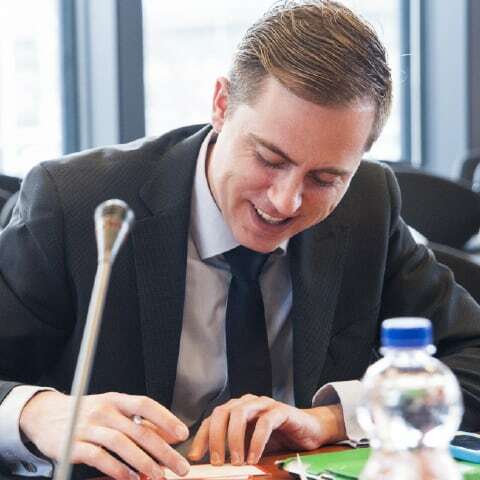 The vision book ‘Reinventing teamwork’ helped to sharpen the ambition of the municipality of Rotterdam on the topic of ‘digital collaboration’. The vision was the spot on the horizon that was perceived as a shared goal across the entire organisation. The project was about more than just introducing a ‘new system’. 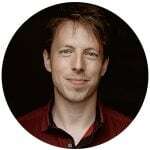 The intention was to create an entirely new organisation culture around digital collaboration: helping, growing, making use of hidden knowledge and learning from each other’s experiences. From its first moments, the intranet has been a great success. The degree of interaction and the number of active users has exceeded all expectations. The entire process has been extremely efficient, partly thanks to the clear and widely supported vision created by HatRabbits. The development and implementation of the new intranet took no longer than a total of 10 months. This is an impressive result. Especially given the complexity and scope of the project. 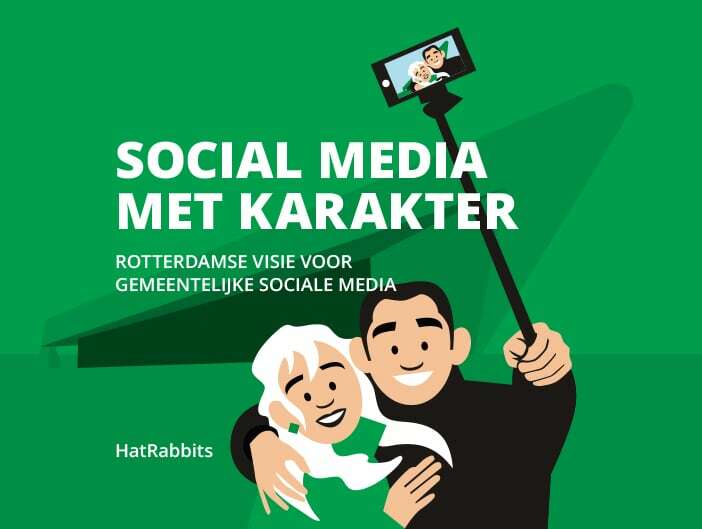 ‘Reinventing teamwork’ is the second part, in the digital communication trilogy HatRabbits has developed for the municipality of Rotterdam.